Allow this HomeAware telephone ring signal system with bed shaker package to alert you to your alarm clock or telephone! 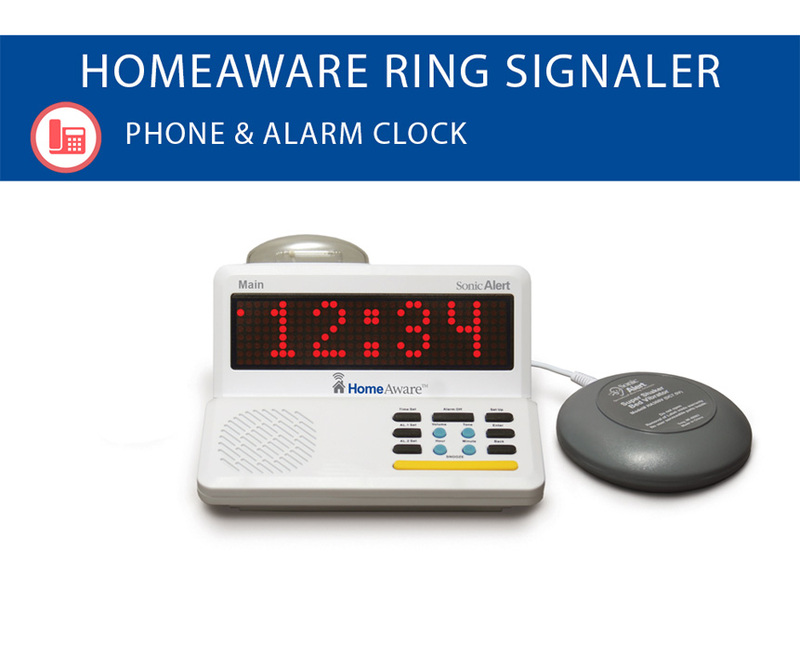 See how easy this HomeAware telephone ring signal system with bed shaker package makes alerting you! This signal system makes things much easier for you by offering both a dual alarm clock and alert system for your landline telephone calls. All you have to do is connect your telephone to the signal system. The HomeAware warns you by way of a flashing strobe, bed shaker, and 110 dB alert. The HomeAware will show who exactly is trying to reach you on caller ID and a two inch, easy to read display. The signaler is the best system out there. Designed for the deaf and hard of hearing, it is designed to show important alerts that keep you safe. The signaler can alert you by babies crying, doorbells, mobile phone calls, text messages, emails, dogs barking, and much more.